Sample the Sierra, South Shore’s own Farm to Fork festival, returns for its eighth year Sept. 16, and Lake Tahoe Resort Hotel’s own Chef Salvador Cortex Delgado will be on hand showcasing what he does best at Echo Restaurant. Delgado’s Adventure menu is a hit featuring the best of Sierra seasonal ingredients and meat choices like the locally sourced grass-fed, all natural beef. Echo’s outdoor deck is the perfect place to indulge. Through Sept. 30 diners can grab an Adirondack chair and enjoy an ice cold beer and burger with fries for just $14. 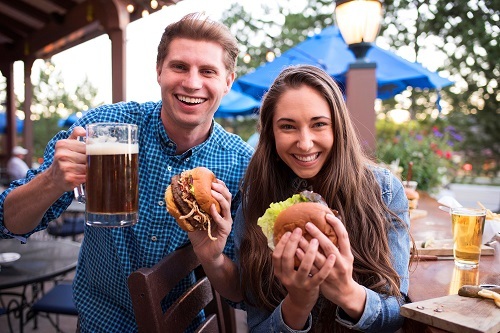 BURGER, BEER, & ADIRONDACK FOR JUST $14. To sweeten the weekend of food and fun book your room with our Summer Fun package. Use code SUMFUN17 for the best rates. Sample the Sierra tickets are on sale now at www.samplethesierra.com. Full tasting tickets are $40 for full tasting tickets and $30 for under 21 tickets.